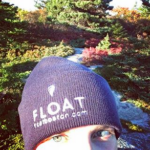 Gift certificates from Float are really the perfect gift! But if you’d like a little something to go along with that, we have some options for you. (Members: you get 10% off all retail.) Among our smaller items, we have tea light holders, Conscious Ink manifestation temporary tattoos, and of course our delicious-smelling Lemongrass & Sage body wash and moisturizer. There’s also Float swag with our logo designed by Jennifer Mangini Perry. We just reordered our navy blue cotton/poly blend shirts. We’ll have sizes available from Adult Small to 3XL in Men’s/Unisex, and Small to 2XL in a Ladies cut. Our last order of Ladies cut tees sold out very quickly, so make sure you get yours asap. There are only a couple “let it go” Float mugs left, so if you like it pick one up! Our next mug will feature an image from our Artist Programs. We love our Float knit hat. It’s perfectly toasty for winter days. Have you ever taken a Sharpie and written a secret reminder to yourself on your wrist? Something like, hang in there, or you can do this, or even… breathe? 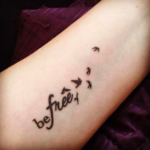 If so, you’ll immediately understand the appeal of these tattoos: they’re reinforcement of your intentions, in a fun and artistic format. We have two-packs and Intention Packs, which are 8 tattoos around a particular theme. These are a perfect gift for someone who could use a little extra love and support. More info here. If you’ve floated with us, you’ve seen the lamps in our float rooms and you know how appealing they are. 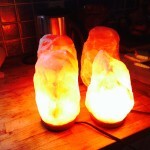 They cast a warm glow that combines beautifully with rough-hewn natural edges. The tea light holders have that appeal on a smaller scale. Love our the smell of our body wash? You can take it home with you, along with the matching moisturizer. We also have our Unscented shampoo for now. We just introduced this product and it’s very popular! Colorado Hemp Honey is a careful blend of pure and raw Rocky Mountain honey with full spectrum, cannabinoid rich hemp extract and organic essential oils. The single-serve Chill Stick is a perfect amount if you need a little extra help to get the most out of your float. (You won’t get high. Even if you chugged a whole jar, you’d get sick before you ever got high.) We love bees and beekeepers, so we’re excited to support this product. Four flavors available in Chill Sticks and 12oz jars. Onnit is a big supporter of the float industry, and we carry their most popular and floating-relevant nootropics: Alpha Brain and New Mood. Alpha Brain promotes focus and learning, while New Mood is all about stress relief and relaxation. We carry 30-count bottles of both, and single packets of Alpha Brain Instant. Michael Hutchison’s classic Book of Floating is a great introduction to all of the ways people have used floating in their daily lives. Now in a new edition. “Why are we drawn to the ocean each summer? Why does being near water set our minds and bodies at ease? 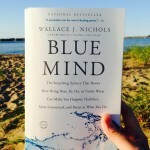 In Blue Mind, Wallace J. Nichols revolutionizes how we think about these questions, revealing the remarkable truth about the benefits of being in, on, under, or simply near water.” With each copy, we’ll give you a blue marble, part of the Blue Marbles project.